Finnish developer Rovio has acquired Finnish studio PlayRaven. The Angry Birds creator revealed that it had bought all of the shares of the strategy games specialist for an undisclosed amount earlier today. According to Rovio, the move will help it bolster its expansion into the strategy games space. 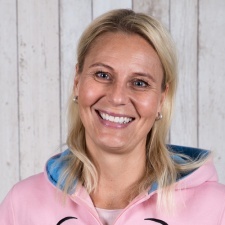 "Strategy games are one of the largest genres in mobile games, and we believe that by joining forces with PlayRaven's talented and skilled personnel we strengthen our know-how and speed up expansion into strategy games,” said Rovio CEO Kati Levoranta. PlayRaven CEO Lasse Seppänen added: "We are very excited to become a part of the Rovio flock. “In the past few years our team has focused heavily on the mobile strategy games, and we really look forward to continuing our work with the support of Rovio's expertise and resources." PlayRaven is currently working on a mobile game set in the EVE Online universe called EVE: War of Ascension. The Finnish developer initially revealed a partnership with EVE Online creator CCP late last year. Kongregate then struck a deal to publish the title on iOS and Android in April 2018, with the title subsequently going into soft-launch in June of 2018 in the Philippines. Dealing with success: is Finland still ahead of the game?